The little witch with her owl is foretelling your future -- you will create some wonderful witchery and link to the Lunagirl Moonbeams Witchery blog challenge! Look into her eyes -- you will obey! Sorry about that silliness. 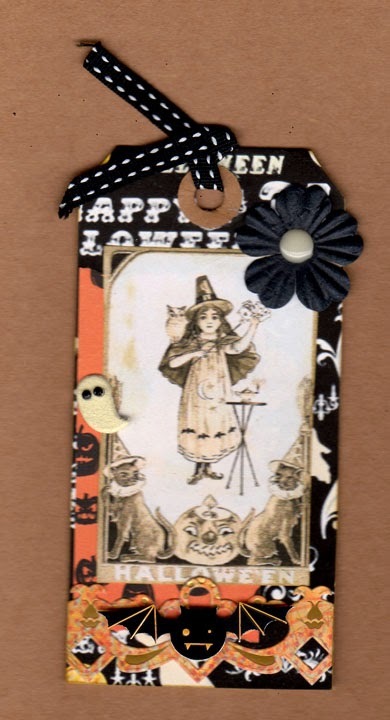 But a big thank you to Moonbeams DT member Michele Storms for this fabulous Vintage Witch tag all in orange and black and sepia. This tag is adorable. Great work Michele!